As your Indianapolis home automation experts, Ultimate Automation knows there are two kinds of basements in this world: basements that offer plenty of usable, comfortable living space, and basements that offer cobwebs, stained concrete floors (and not the good kind of stained), and big old spiders. 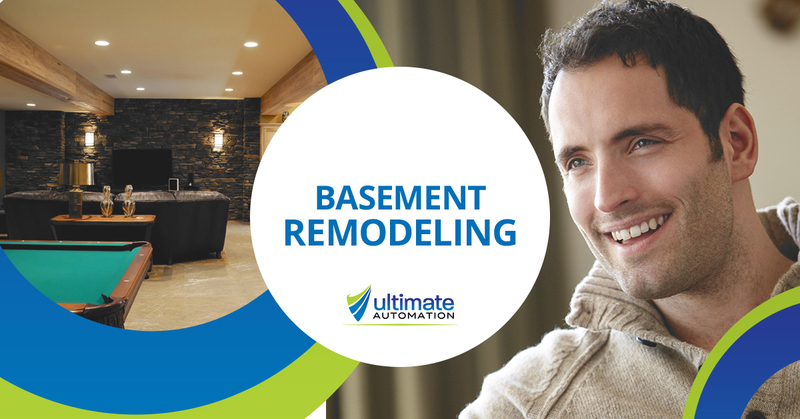 If your basement is like the latter option, it’s time for a remodel. Finishing or remodeling the basement is an easy way to add lots of extra living space and increase the value of your home—if you do it right. Consider from the beginning what technology you want in this space and work with us to establish a budget. This way, there will be no surprises in the end and you will get exactly what you want! Pre-wire your home with Cat5 or Cat6, Coax, speaker wire, or anything else you need. Supply you with media furniture such as media centers and theater chairs. Take care of some structural remodeling that you need. While we are not a remodeling firm, we do have an exceptional staff that knows light construction and codes. Building a home theater room or a bar area would be perfect examples of what we can do. Outfit your home for designer automated blinds. Design a lighting control system. Tell us about what you need in your basement and we will reach out to you, ready to talk ideas. Your home improvement project should be exciting and fun—let the Indianapolis home automation pros get the job done right! Request a free consultation today.